Theodore Hodapp and Erika Brown explain how the American Physical Society is helping to recruit and retain PhD students from under-represented minorities. African Americans, Hispanic Americans and Native Americans make up about one-third of university-age citizens in the United States. Yet less than 11% of bachelor’s degrees in physics are awarded to people from these groups. 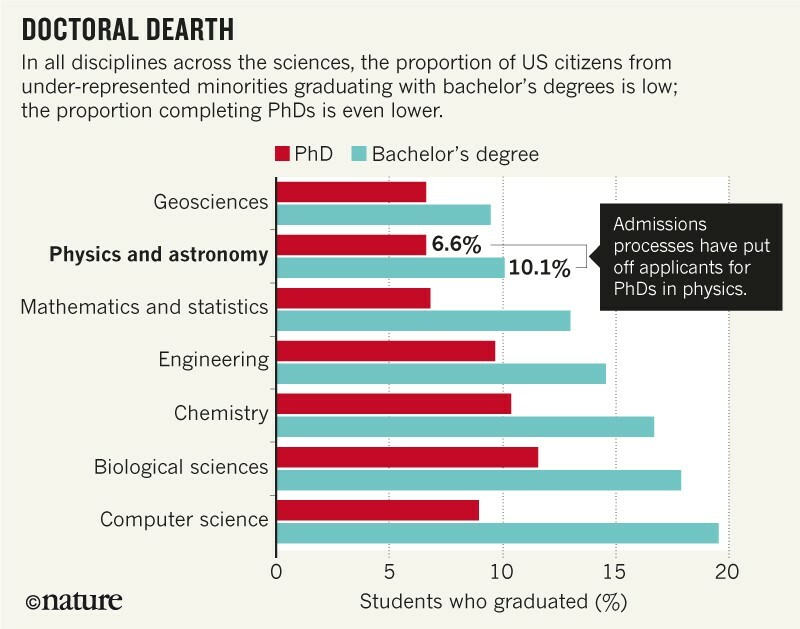 At the doctoral level it is even worse, with only about 7% of physics PhDs granted to US citizens from racial and ethnic minority groups — just 60–70 students each year. This is one of the lowest rates in the sciences. Chemistry, by comparison, awards 17% of bachelor’s and 11% of doctoral degrees to these groups (see ‘Doctoral dearth’). The proportion in physics has barely risen over the past 15 years, while the percentage of US university-age students from minorities has grown by 18%. This is morally questionable and disastrous from a practical point of view. The discipline of physics, and society as a whole, are missing out on talent. Students are often judged on the prestige of their undergraduate institution or the preparation they received at school, rather than on what really matters: their aptitude, drive and ingenuity. 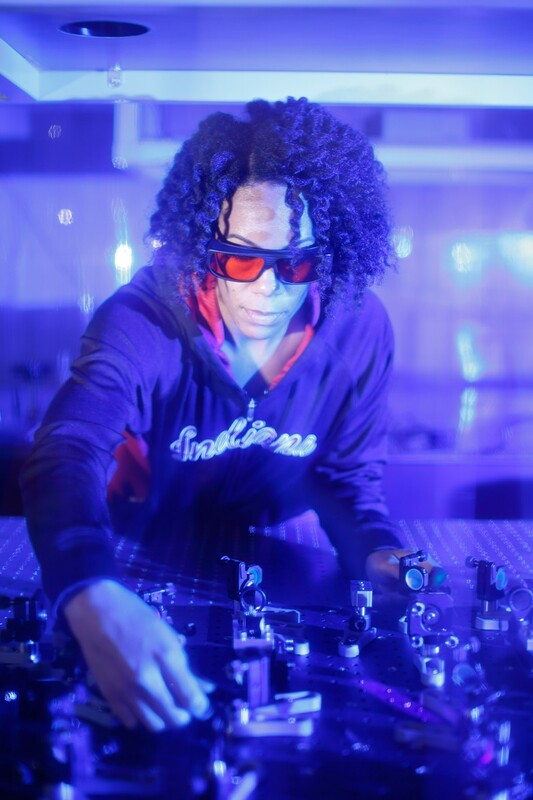 Physicists cannot fix all of society’s ills, but the community can and must provide more equitable pathways into research. This does not mean lowering the bar, but showing students where it is and helping them to find their way over it. 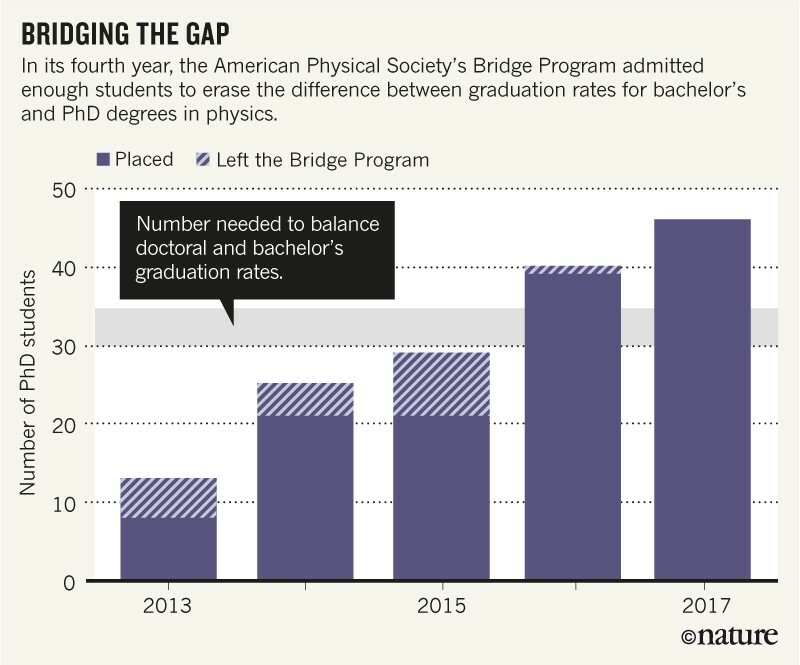 For the past five years, the American Physical Society (APS) has been taking the first steps by working with physics departments across the United States to balance the doctoral and bachelor’s graduation rates for under-represented students. Given that the numbers of students are small, interventions at a limited number of universities can drastically change the landscape. To effect this change, the APS has directed resources to overcoming admissions barriers and ensuring that graduate programmes where students are admitted have adequate support to help them remain on track. These support structures benefit all students. The APS Bridge Program1 (funded in part by the US National Science Foundation) asks physics faculty members to consider and recruit graduate students from under-represented minorities whom they think would do well in a doctoral programme but who, for whatever reasons, have not been accepted. Such recommendations are permitted, although it is illegal in the United States to specify race or ethnicity in university admissions procedures as the sole criterion for a decision. After the standard mid-April cut-off for informing students of their acceptance into US graduate programmes, the APS collects applications from Bridge Program candidates and circulates them to institutions. The institutions take another look and select the students who are best for them. The departments are required to mentor and monitor the progress of Bridge Program students. More than 35 US institutions are now working with the APS. There are currently around 150 students in the Bridge Program. In 2017, by accepting 46 students in one year, departments more than compensated for the difference between the doctoral and bachelor’s graduation rates (see ‘Bridging the gap’). When the APS began the programme in 2012, it gave grants to universities to support most Bridge students. Now, most students are funded by the physics community; in 2017–18, the APS supported only six. We found no single root cause for why under-represented students were not accepted into graduate programmes in physics. The problems were mostly systemic and circumstantial, not the fault of the students. Some students told us that they were unable financially to apply to more than a few programmes, or that they were discouraged by perceived and real biases in application procedures. 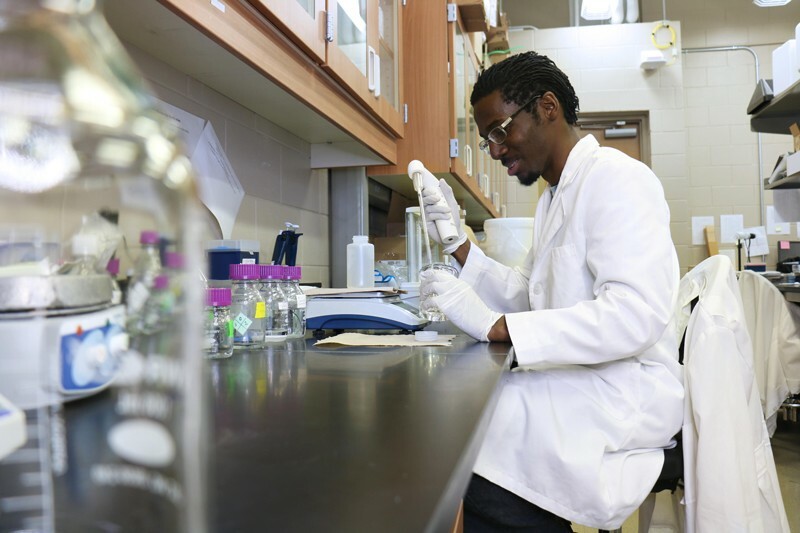 Other factors included inadequate mentoring and preparation for research careers at the student’s undergraduate institution. These hindrances are relatively easy to overcome. Here we discuss what we’ve tried, what we have found to work and what still needs to be explored. The first hurdle is the graduate admissions process. It is a well-guarded door lying between a student and a research career. Committees must contend with hundreds of applications and an incomplete picture of each student. Candidates with high scores in undergraduate mathematics and physics courses or entrance exams pass through the door easily, including some students from minority groups. Applicants who have mixed academic records can benefit from further consideration by admissions committees. Behind each CV is a story. What if you went to a substandard middle or high school, where your peers barely made it through algebra and the teacher taught far below your potential? What if you had to find a full-time job to finance your university education, leaving little time to study, much less excel? Some students in our programme experienced these situations. Remedies were as simple as extra coursework to compensate for inadequate preparation, a graduate stipend to provide financial stability, or a committee that was able to see past one poor mark to recognize potential. 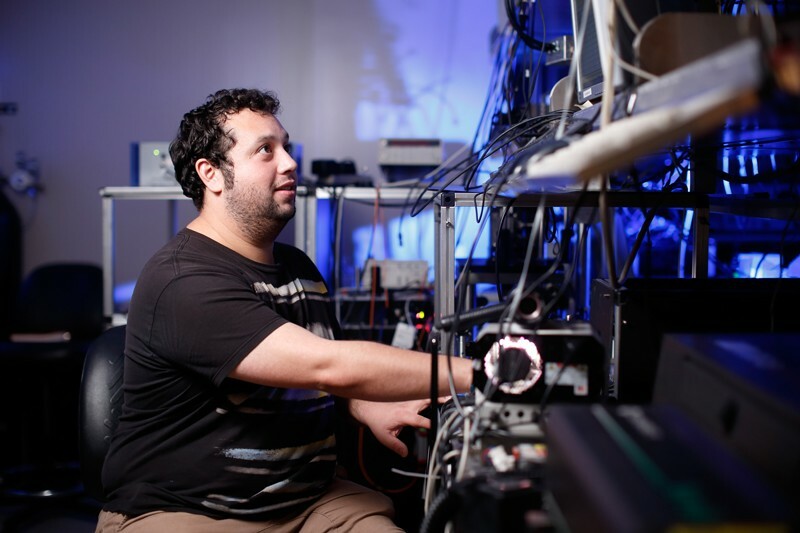 In our experience, the biggest barrier to students getting into a physics doctoral programme is the Graduate Record Examination (GRE), a standardized test required for admission into most graduate schools in the United States. More than one-third of US graduate physics programmes will consider only candidates whose scores in the physics GRE test (P-GRE) exceed a cut-off2. This ignores the larger picture of a student’s development and also goes against the advice of the Educational Testing Service (ETS), which produces the GRE. The ETS recommends that GRE scores should never be the sole basis for an admissions decision and should be weighed against other factors3. P-GRE scores conflate many things. Students need to prepare carefully because the scope and approach of the test are different from how most undergraduates are taught and evaluated. In addition, many undergraduate institutions offer no tools or guidance to help students to prepare. It costs US$150 to take the test. Despite the best efforts of the ETS, the GRE tests suffer from biases resulting from students’ societal experiences and expectations. Women and people from minority racial and ethnic groups score lower than do white or Asian men, on average4. Candidates are influenced by ‘stereotype threat’: members of groups for which stereotypical expectations are low perform worse in high-stakes exams when they are reminded that they are part of that group (see, for example, ref. 5). These factors, and a student’s aptitude for taking this type of test — or even how well they were feeling on the day — matter. Scientists should care most about potential, not preparation. Even if admissions committees downplay the value of the GRE, students do not. Those with low scores are discouraged from applying to institutions that publish high average scores. The question then remains, how should admissions committees pick graduate students? This is both a philosophical and a practical concern: what are committees’ goals in selecting a student, and how should they sort through a big pile of applications in a small amount of time? Philosophically, should committees try to identify the student who is already at the top of the applications pile, itself defined in part by systemic biases? Or should they try to spot someone who can develop to become an excellent researcher? The latter mindset6 accommodates individuals who might have grown up in places with few educational and mentoring resources available, but who have a passion and aptitude for physics. Members of the physics community should provide an opportunity for such individuals, irrespective of their social background. Practically, the APS works with departments that are trying a variety of ways to select students. It’s too soon to tell how these strategies can be generalized. Each department has different needs and must find a technique that works for it. Some review all applications from target groups to find compelling stories that indicate promise. Others shortlist potentially good candidates on paper and conduct short, 15–30-minute video interviews with each. These explore traits that are correlated with success, such as problem solving, tenacity and the ability to assess your own weaknesses (see, for example, ref. 7). The next step is to help PhD students to finish their doctorates. Mentoring and peer support are crucial. All graduate students face challenges. In a 2008 study, only 59% of US doctoral students in physics completed their PhDs8. As well as missing out on talent, it is expensive to lose graduate students. Each requires upwards of $300,000 of direct support during their studies, as well as resources, facilities and faculty members’ time. Students are committing years of their life towards the long-term goal of engaging with the physics community. The Bridge Program, by contrast, has an average retention rate of around 85%. How have institutions done it? Interviews with Bridge students and their mentors have revealed that numerous practical issues unrelated to academic ability can affect or destroy a graduate student’s potential to stay the distance. Examples include: living too far from campus to join in study or research sessions; being inexperienced in managing money; family commitments and dynamics; feelings of isolation; or poor advice on how to navigate the university system. Poverty exacerbates all these problems. Several mentors are preferable, including a research adviser, an academic adviser and someone whom the student feels has no power over them, such as a staff member. Bridge students check in with their mentors at least once every couple of weeks during the first year so mentors can make sure they are adjusting well. Meetings can taper off as students find their groove. But it is important that mentors intervene early when problems arise, such as illness, personal issues or courses that are pitched at an inappropriate level. We have found the first six weeks to be crucial. Changes to a student’s academic plan after this come too late — students facing obstacles already feel that pursuing graduate education was a bad idea; isolation has set in. They might already be well down a downward spiral that leads to dropping out. Peer support is crucial, too. Institutions involved with the Bridge Program either had or have developed a physics graduate student association. These work on behalf of all students, but their activities can be pivotal for students from diverse backgrounds who are feeling isolated. The student associations assign more-senior students as mentors to new participants in the Bridge Program, hold social functions to welcome all students, and provide a space for them to share experiences and knowledge. Some hold student-only seminars — at which no faculty members are allowed — on careers, courses and campus life, providing a place to vent and learn. Representatives of these organizations can be a ‘student voice’ in conversations with the faculty. Problems can and do often occur late in a student’s studies as they navigate the research and dissertation phases. In many universities, a committee meets annually to review the progress of each graduate student. Ideally, the chair of such a committee should be someone other than the student’s research adviser, in case that relationship sours. Faculty members might need to devote extra mentoring time at this stage to ensure the student finishes their work and thesis. The APS tracks all students in the Bridge Program. Along with academic transcripts, we ask mentors to evaluate each student’s progress towards a PhD. The proof is in the retention rate: currently, 85% of our students are on track — significantly more than the national average. Students report that the programme gave them the chance they needed to pursue graduate studies. Our first students are likely to receive their PhDs in 2019. They will then start looking for postdoctoral jobs. 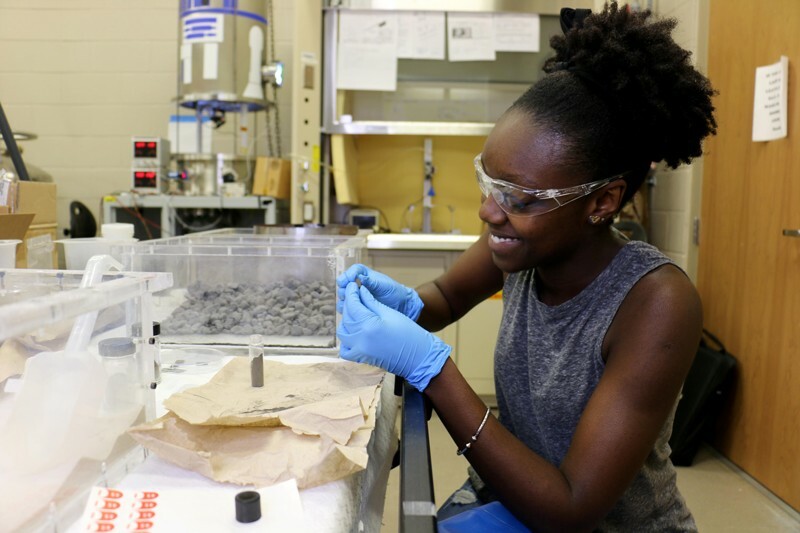 The APS has begun to collaborate with national laboratories in the United States — collectively the largest employer of physicists outside academia — to help match up Bridge Program graduates with job posts. We are also developing a mentoring curriculum for the researchers who sponsor these graduates, to help make them more aware of diversity issues. To make the physics community more representative, we recommend three actions. First, graduate departments should aim to reflect the racial, ethnic and gender mix of the undergraduate population pool, at a minimum. They should use admissions techniques that look beyond conventional measures, to identify students who can be successful leaders in the future9. Admissions committees must educate themselves on what the P-GRE is actually measuring, rather than what they think it is measuring. Second, graduate departments should foster more-supportive cultures for all students. Departments should offer undergraduate coursework where needed, mentor students throughout their studies — especially in the first few semesters — and formalize mentoring by peers. Third, we encourage other national organizations, such as the American Chemical Society, the American Geophysical Union and their equivalents in other countries to take a similar intermediary role. We have begun discussions with some of these and received enthusiastic responses. Moreover, similar interventions could reduce gender disparities in disciplines in which the percentage of women changes appreciably between undergraduate and graduate stages (in physics it does not). We must embrace diversity within the physics community. The world cannot afford to waste talent.